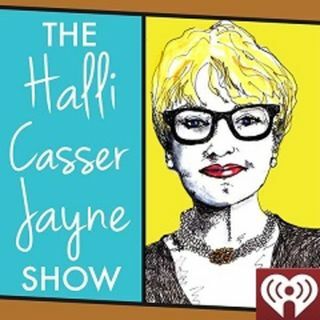 It's sugar and spice and everything Dave Barry when The Halli Casser-Jayne Show, Talk Radio for Fine Minds welcomes the humorist to Halli's table for a conversation that we promise you will bring you everything nice. Does Dave Barry really need an introduction? Dave Barry is the Pulitzer Prize-winning, New York Times bestselling author and columnist, who wrote a nationally syndicated humor column for The Miami Herald from 1983 to 2005. He has also written more than 30 books, including ... See More novels and non-fiction, his most recent bestsellers include INSANE CITY and I'LL MATURE WHEN I'm DEAD. Two of Barry's books became the basis for the CBS sitcom Dave's World. Dave Barry is the gift that keeps on giving. The humorist is out with yet another hysterically funny book, a gem that will keep you laughing uproariously: YOU CAN DATE BOYS WHEN YOU'RE FORTY, which he bills as Dave Barry on parenting and other topics he knows very little about. Oh, boy, here we go… Join us for Dave Barry: A Conversation on The Halli Casser-Jayne Show, Talk Radio for Funny Minds.